California is one of those US states which is a paradise for outdoor lovers any time of the year! We’ve started a series about our favorite seasonal Cali hikes last autumn, then winter and spring came, and now we are about to share our ideas about summer hikes. On the other hand, as you get further from the ocean coast it gets hotter and hotter and the landscape looks almost dead. You could hardly recognize those green hills you hiked in winter and early spring, they are all brown by summer time. And don’t even think about visiting California’s deserts because there’s only one thing to do there in summer: suffer from the extreme heat. Okay, this sounds quite dramatic, but not all hope is lost. 😀 California is a paradise for outdoor lovers, remember? 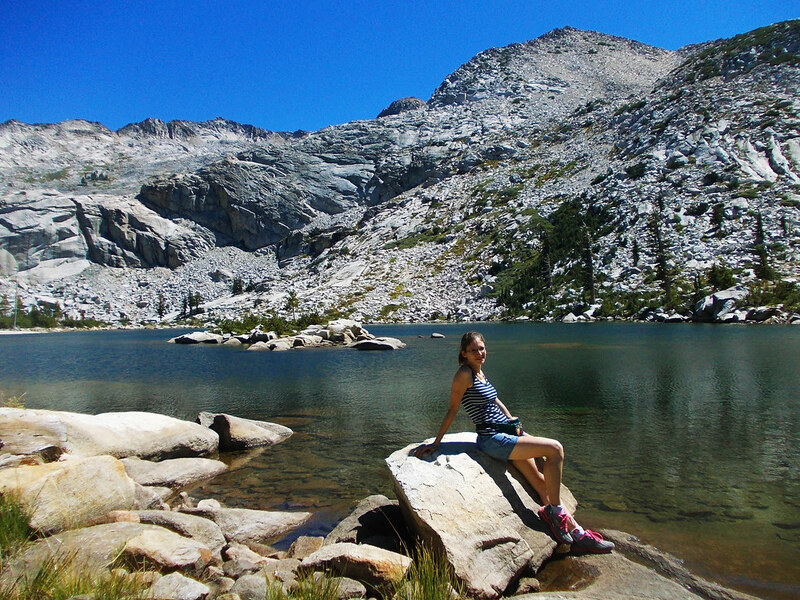 Sierra Nevada with its 2000-4000 meters high peaks is there to save your summer hikes. Higher elevations are covered with snow by late May and the wildflower bloom there starts in May and June. Summer is the high season for hiking at Lake Tahoe, in Sequoia and Kings Canyon National Parks, Yosemite’s backcountry or basically, anywhere up in the Sierras. I won’t tell you it’s not hot up there, because it is especially in sunny weather (and hey, it’s California, you can expect clear sunny days in summer!). But still we could enjoy hiking and also, mornings and evenings are much cooler. So have sunscreen and a lot of water, but also a sweater for the evening. Specific hikes? Oh, there are tons! 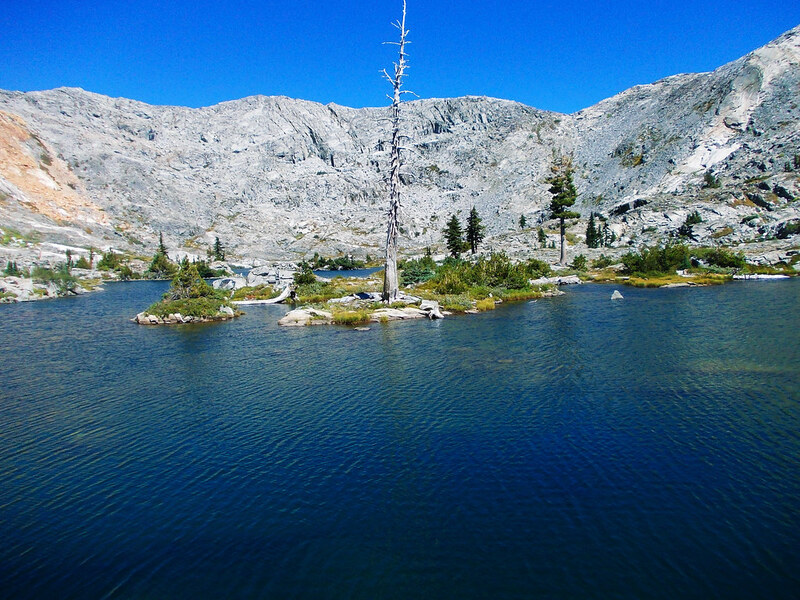 We’ve actually written a series to tell you more about our favorite day hikes in the Sierra Nevada. Check them out here! 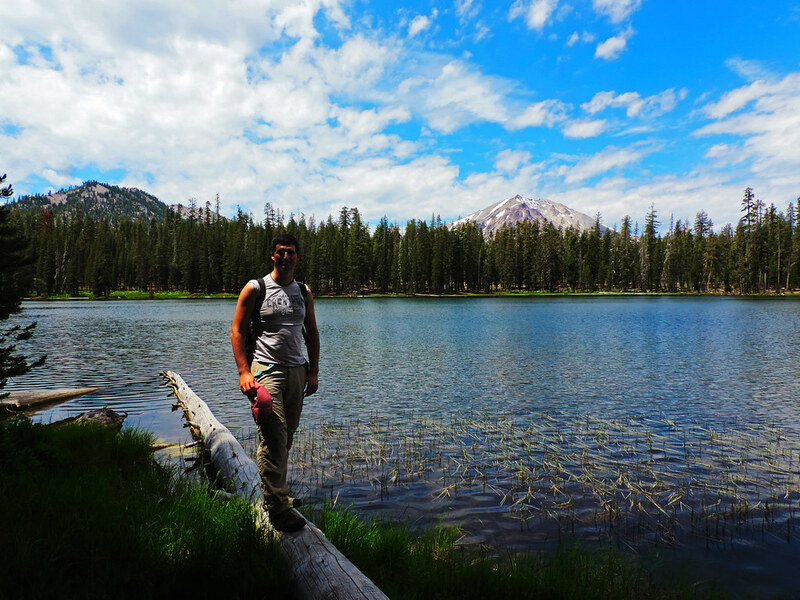 There’s another park which is in fact especially ideal for summer hikes: Lassen Volcanic. It’s located north of the Sierra Nevada and it’s part of the Cascade Range. The winter in Lassen Volcanic National Park is long and parks roads are sometimes closed due to snow conditions even in early June. We strongly recommend to check road opening dates and road conditions on the official NPS website before you go. But summer brings perfect sunshine and tons of hiking options into this extraordinary park. Could you get excited about volcanoes? How about hiking down into the crater of a real volcano? Or visiting a lake which is actually boiling? Or a place called Devil’s Kitchen? If any of your answers is yes, there’s a high chance you will fall in love with Lassen Volcanic quickly. There are, of course, volcanoes in this park. In fact all four types of volcanoes found in the entire world are represented in Lassen Volcanic! That means shield volcano (Prospect Peak), plug dome (Lassen Peak), Cinder Cone (Cinder Cone) and composite volcano (Brokeoff Volcano). Our favorite was Cinder Cone which really looks like how we imagine a volcano and this is the one where we got down to the crater. (No need to be afraid, volcanic activity is constantly monitored in the park. Anyway, Cinder Cone is not potentially active anymore.) Cinder Cone Trail was our very favorite in Lassen Volcanic! 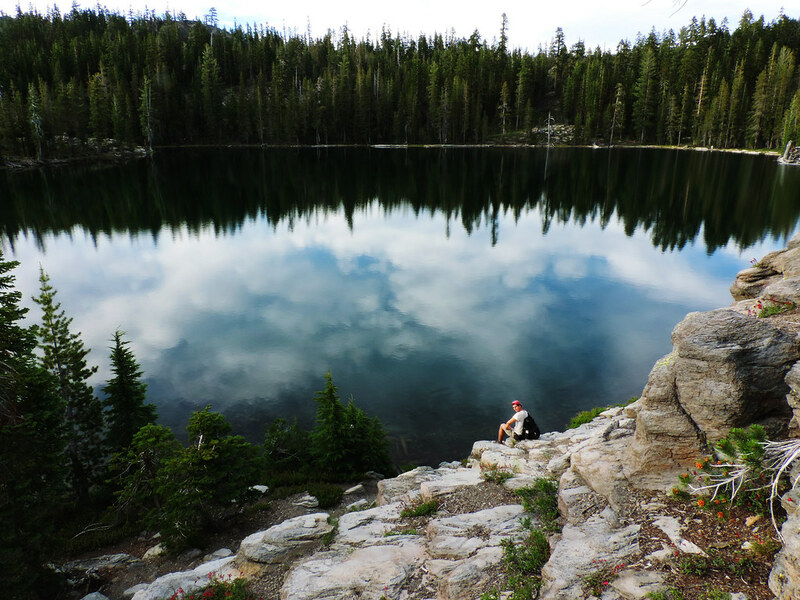 Though it’s located in a more remote area of the park, we felt that all the driving and hiking was well worth it. In addition to the volcanoes, there’s other ways to see (and smell!) volcanism: visiting the hydrothermal areas in Lassen Volcanic which all have very cool names – just as cool as they are in reality. Bumpass Hell, Devil’s Kitchen and Sulphur Works. They all gave us a chance to see hot springs, steaming fumaroles and boiling mud pots from a safety wooden boardwalk. And that typical rotten egg smell? It was part of the unique experience. But enough of volcanoes, maybe only we got excited about them. What about majestic redwoods, the tallest trees on Earth? 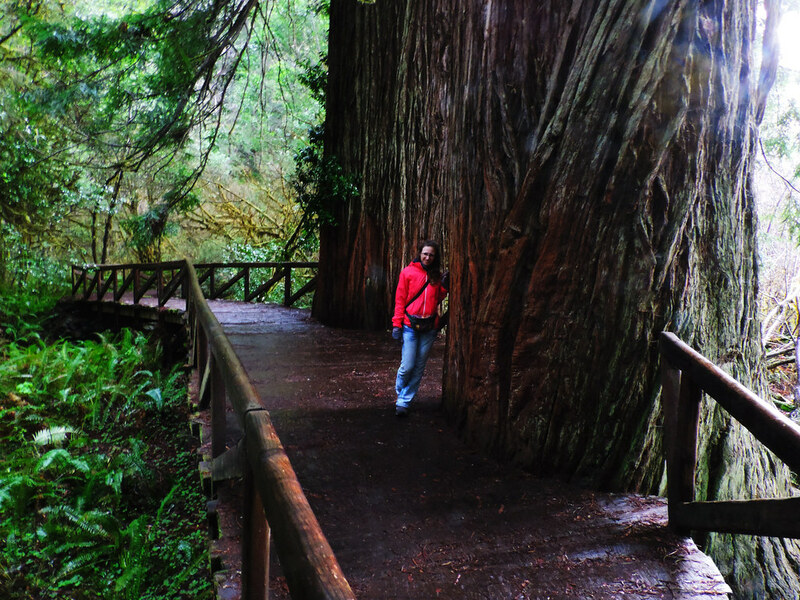 We haven’t spent much time in Northern California, but even that was enough to get impressed by its giant redwoods. They are just as good choice for spring hikes as for summer. Though summer will probably be more foggy, but that’s part of the mystic redwood experience. Northern California is obviously the least hot part of the state and probably there’s a lot more hikes which are nice and pleasant in the summer. But sadly, this is all of our knowledge about Northern California. Could you guys maybe suggest some nice summer hikes in that area? It’s your turn anyway. 😛 What are your favorite summer hikes? We’ve started this series to show you our favorite California hikes for all the seasons. You can get ideas for the best early spring, late spring, autumn and winter hikes, too.